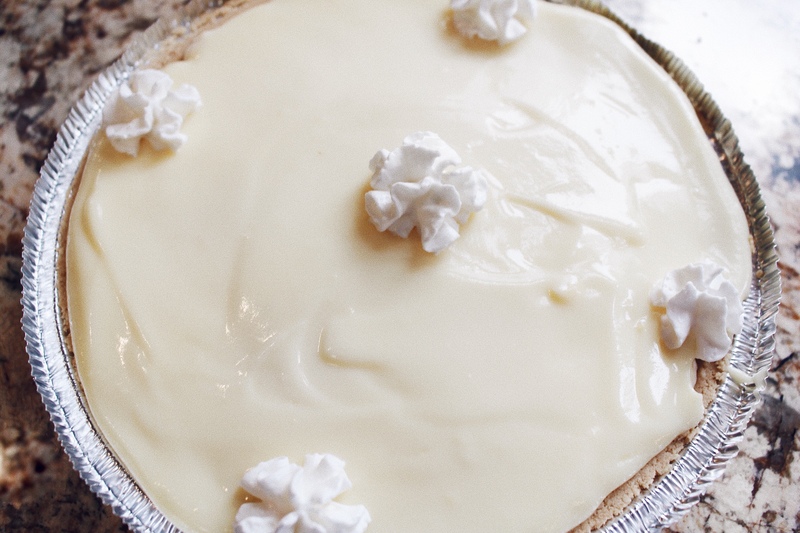 Banana cream definitely has to be my favorite kind of pie flavor. It’s super refreshing especially on a hot summer day, omg the best. I also have this strange addiction to bananas and their smell lol. I can’t believe I just admitted that on the internet, but it’s true; I love the smell of bananas. 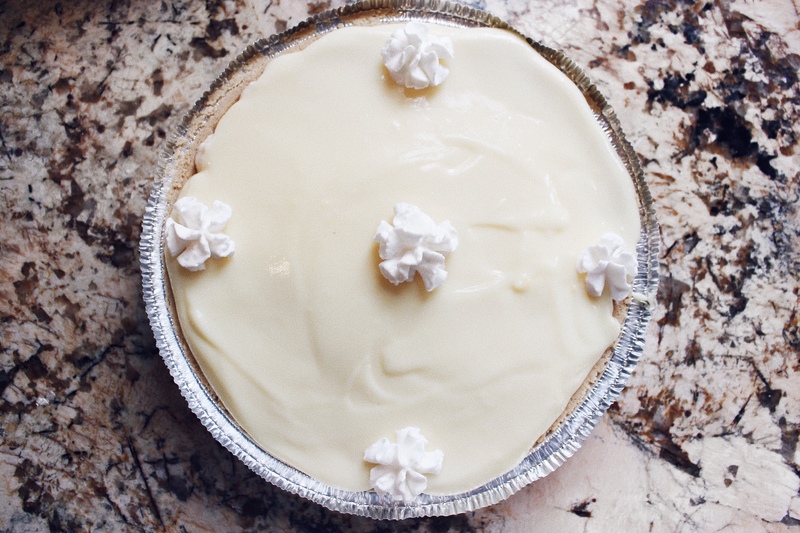 I make banana cream pie at least 3 times during the summer. Everyone in my family loves it, it’s definitely a favorite in my house. I wish I could say I make it completely from scratch, but that would be a lie. 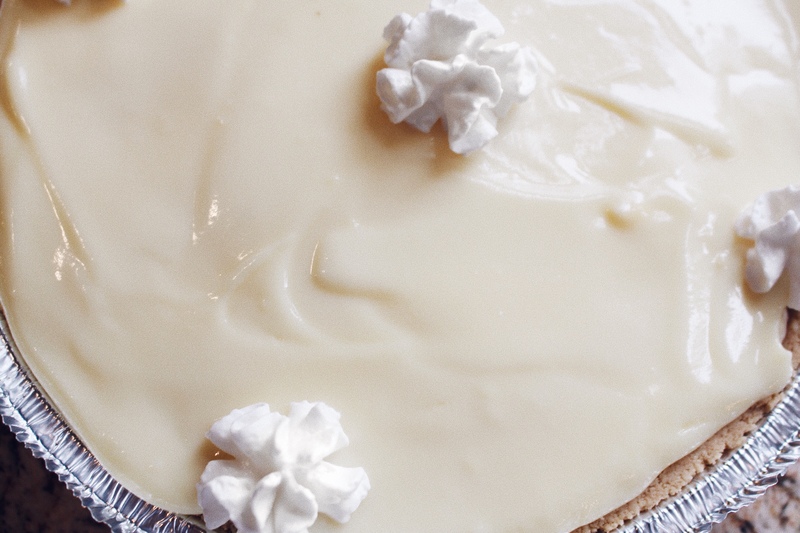 Buying the pudding and pie crust from the store is so much easier and my favorite way to make it. 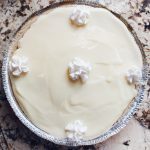 I have used my homemade pie crust recipe before with this pie, but again buying it is so much easier. 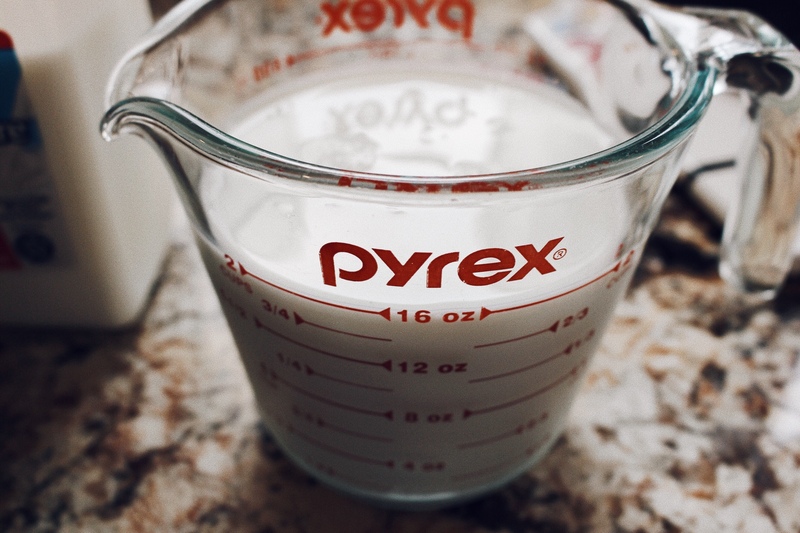 Alright, let’s get into this delicious and easy recipe now! If making homemade pie dough, go ahead and bake that first. If using store bought (prepared) crust, skip this step. Take your 2 boxes of pudding and add the milk. Mix and let sit for a few minutes to become that pudding texture. 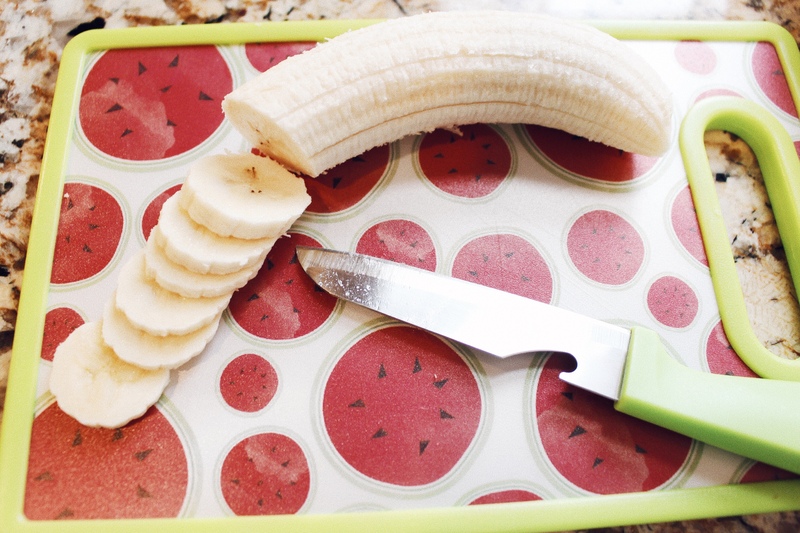 Then, place in fridge to chill for a few minutes while you cut the bananas. 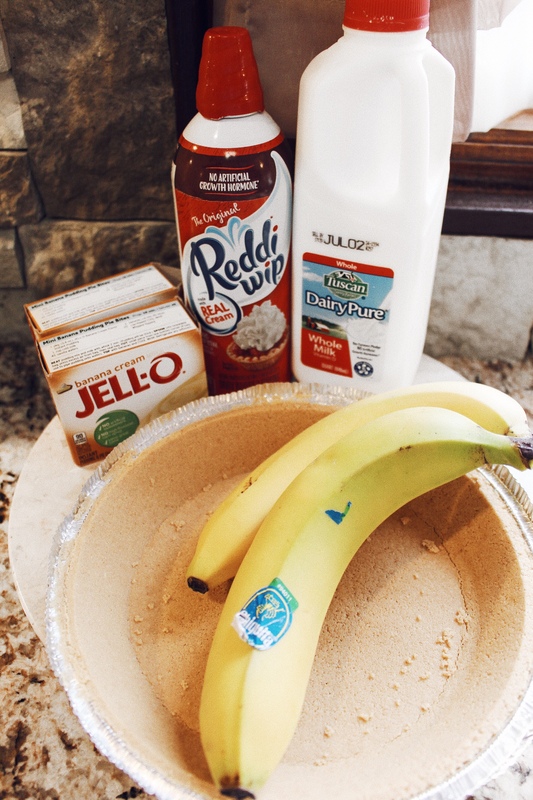 Take your crust and 2 bananas to assemble. 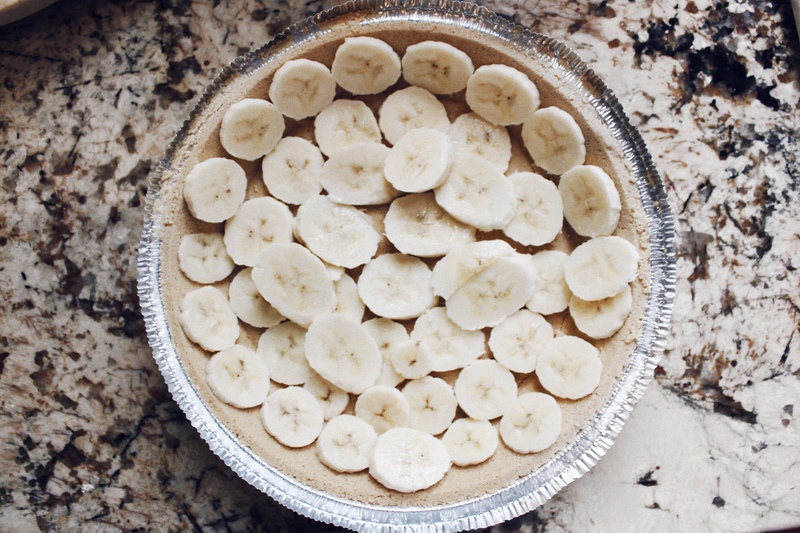 Cut your bananas into slices and place on the bottom of pie crust and around the sides, completely covering the crust.